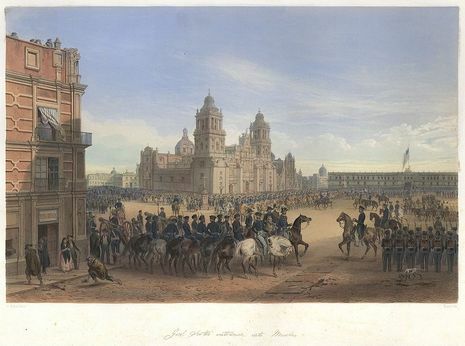 The Battle for Mexico City refers to the series of engagements from September 8 to September 15, 1847, in the general vicinity of Mexico City during the Mexican-American War. Included are major actions at the battles of Molino del Rey and Chapultepec, culminating with the fall of Mexico City. 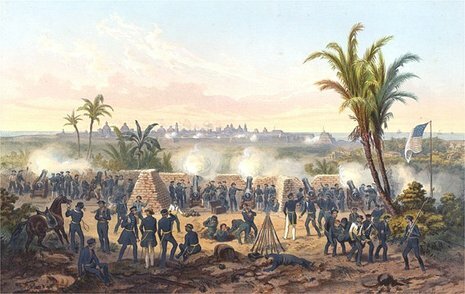 The Mexican–American War was an armed conflict between the United States and Mexico from 1846 to 1848 in the wake of the 1845 U.S. annexation of Texas. Mexico claimed ownership of Texas as a breakaway province and refused to recognize the secession and subsequent military victory by Texas in 1836.